Samsung launches the Galaxy M Series in India. Galaxy M Series include Galaxy M10 and Galaxy M20. Galaxy M20 comes with 5000mAh Battery. 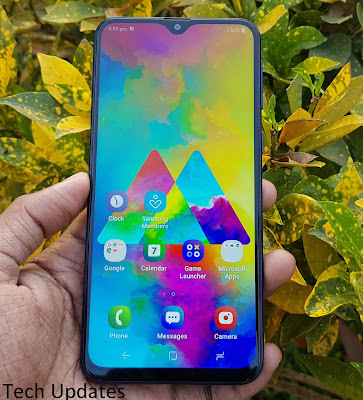 Here are the top Reasons to Buy And Not To Buy Samsung Galaxy M20. Samsung Galaxy M20 has a 6.3-inch (2340 x 1080 pixels) Full HD+ 19.5:9 TFT display, It's the first smartphone from Samsung to come with Infinity V Display. Galaxy M20 uses TFT Display, Its brighter than other phones in this price range produces good colors and viewing angle in both daylight and indoor conditions. Samsung Galaxy M20 is powered by Octa-Core Exynos 7904 14nm processor with Mali-G71 GPU. It has 3/4GB of RAM and 32/64GB of internal storage. Performance on Galaxy M20 is good in normal use while playing high-end games like PUBG, Asphalt 8 there is lag and phone gets heat up. Performance is on par with Snapdragon 636. The Phone scores 109395 points on AnTuTu. 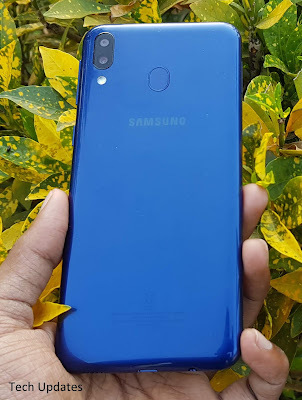 Samsung Galaxy M20 comes with 5000mAh battery It can deliver More than 1 day of battery life on Heavy use with more than 9 Hours of Screen on Time. It can last for 6 hours while playing PUBG continuously. Galaxy M20 has a 5000mAh Battery which comes with Fast charger (9V-1.67A / 5V-2A) in the Box It also come with USB Type C port. It takes 2 Hour 4Min to charge the device from 0-100%. Samsung Galaxy M20 comes with Dual Nano and MicroSD Card slot. It has support up to 512GB of MicroSD card. and 8MP front camera with f/2.0 aperture both phones can record 1080p video it does not support EIS. Photo captured in good lighting is decent, Colors are not accurate, Low light camera is average. Front camera selfies are decent. Live focus mode does not work well with Rear Camera. It also has support wide angle camera which is good. Overall Galaxy M20 camera performance is average compared to Realme U1, Zenfone Max Pro M2. Samsung Galaxy M20 back panel looks like Glass but its made up of plastic, It gets fingerprints and Scratches easily, Samsung does not ship TPU case cover in the Box. Galaxy M20 does not come with Display protection.